WordPress is an ‘Open Source’ website structure originally developed for ‘Blogs’ (or ‘Web Logs’ – Online diaries for private and business use). The nature of the people using these blogs meant that a mixture of technical and non technical people used them. This meant the dual pressure of providing more functionality while keeping it as simple as possible. 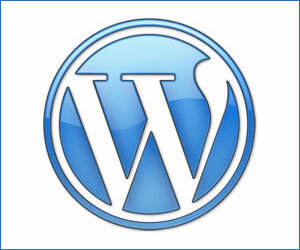 This flexibility is partly delivered by the use of WordPress Plug Ins’. A Plug In is an add on piece of code that ads or changes a feature of WordPress. At last look there were over 12,500 Plug Ins for WordPress enabling you to convert it to do whatever you want. From online shopping to forums, from surveys to slide shows WordPress can do just about anything you would require a website to do. For the average website owner the major benefits of WordPress are a quicker and cheaper development cycle while still retaining the ability to upgrade in the future. WorPress has a built in ‘Content Management System’ so the owner of the website can update it without the need for special software and with a minimum of training. Frequent updating of a website not only keeps it relevant for visitors it is also a key aspect of Search Engine Optimisation (or SEO).